Can you confirm these amateur observations of Emydura tanybaraga? Diagnosis Diagnosis: Four species of Emydura occur in the waterways of the Northern Territory and Western Australia; Emydura australis, Emydura victoriae, Emydura worrelli and Emydura tanybaraga. The last three are known from the Daly River. Emydura tanybaraga is a yellow faced turtle with prominent dark markings through the iris as the level of the pupil. In aged individuals a large broad palate covers approximately half the roof of the mouth, but maintains a medial division at all ages. The facial colouration distinguishes this turtle from Emydura australis, Emydura victoriae and populations of Emydura worrelli in the Northern Territory, which all have a reddish-pink colouration to the face. Facial colouration fades with age in all of these species. However, the presence of dark markings through the eye and a median division to the palate in aged E. tanybaraga will further distinguish this turtle from similarly aged individuals of E. australis and E. victoriae which have no dark markings through the eye and have broad, undivided palates. E. tanybaraga and E. worrelli can have similar eye markings and palate shape until well into maturity, at this stage tanybaraga's palate becomes larger. Comment Distribution: Map in MACCORD et al. (2003). 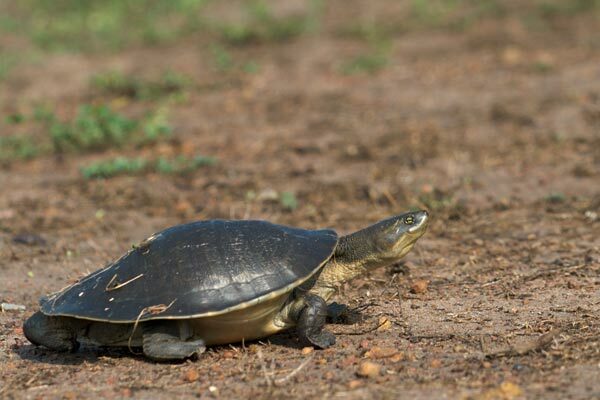 Etymology Tanybaraga is the name given to the adult yellow-faced turtle in the Daly River, the species name is to be used as a noun in apposition. This is pronounced tanybar-arrga. Cann, John 1997. 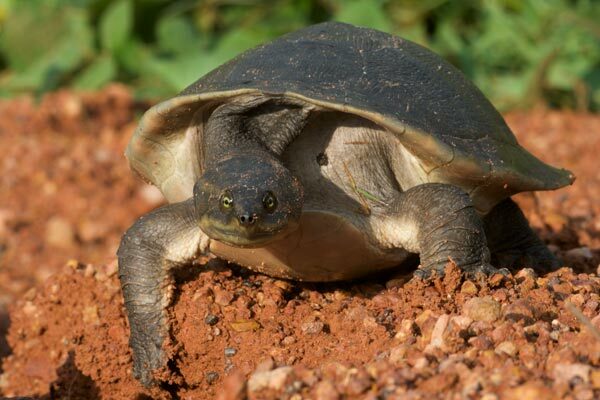 The Northern yellow-faced turtle, Emydura tanybaraga sp. nov. Monitor: Journal of the Victorian Herpetological Society 9 (1): 24-29; 34-35.